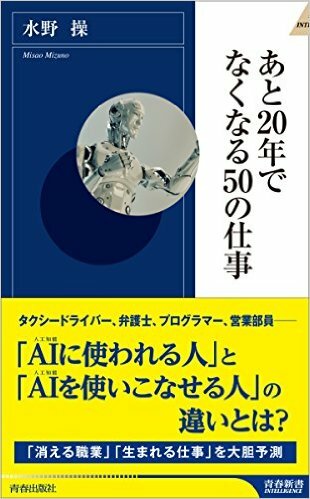 AI (artificial intelligence) will become the topic recently in future when many people lose their job in becoming it, Does the developer of the AI not lose its job? However, the day when AI develops AI may come. By a future prediction, It is AI in about 2025, scientific discovery and prediction of economy and the social phenomenon is enabled, I seem to be able to express consciousness and self in about 2030. The root where a human being is a human being “(the memory) uncertainty”, I think the originality are born there, “A forgetful person loses a job least”.